The Northeast Region has a long and productive history of collaboration and coordination for the protection and management of natural resources. This partnership has been enhanced in recent years through the teamwork of the Northeast Fish & Wildlife Diversity Technical Committee, the RCN program and the LCCs (e.g., North Atlantic and Appalachian). States have collectively contributed nearly $1.4M to completed regional projects since the inception of the RCN program, and have committed an additional $1.6M to RCN projects in-progress. In addition to these direct expenditures, state agency staff, many of whom are supported by State Wildlife Grants, have dedicated substantial hours attending meetings and reviewing proposals and reports. The RCN and LCCs have been highly effective at producing volumes of regional data and information, tools and other products. Now NEAFWA states are at a critical crossroads: We urgently need to organize and fit together these multiple RCN and LCC products in time to efficiently assist states with incorporating a regional context into their mandatory SWAP revisions. This project will produce a synthesis of the growing volumes of regional conservation data and information produced through the Regional Conservation Needs (RCN) program and Landscape Conservation Cooperatives (LCCs); see attached Synthesis Table of Contents. 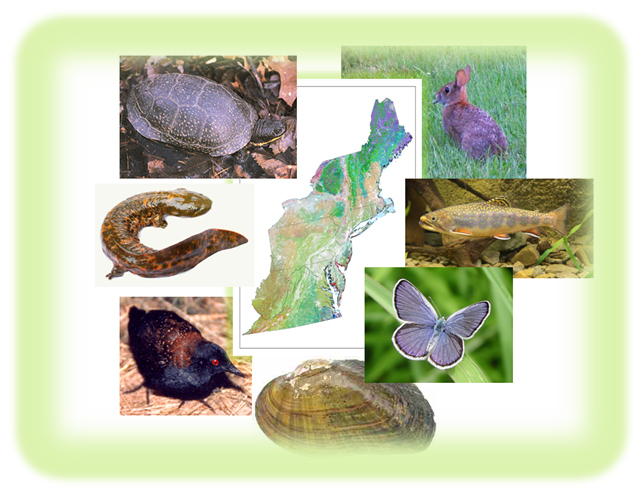 This synthesis will provide the regional context for the elements that states are required to review and revise in their State Wildlife Action Plans (SWAPs) by 2015. Producing a synthesis of regional information on behalf of all states in the Northeast will save each state significant time and effort in reviewing and determining how to incorporate regional data and information products into their respective SWAP revisions. This synthesis is envisioned as a set of components organized by the required elements of SWAPs that can be readily incorporated into each state’s SWAP revision process. Web access to this synthesis of regional information will not only improve use of this information for SWAP revisions, but will also improve access to and use of regional information by states and conservation partners during continued implementation of priority actions. Synthesis and delivery of data, maps and other tools generated through the RCN program and LCCs will ensure they are adopted and thus realize the cost savings and efficiencies originally envisioned when these collaborative efforts were conceived. To synthesize regional conservation information including ongoing and completed work from the RCN program and LCCs into a format that states can easily access and incorporate into their SWAP revisions, and to influence continued implementation of regional priorities by making this information easily accessible to states and conservation partners. Terwilliger Consulting Inc. provides sustained coordination and facilitation services by preparing and coordinating agendas for monthly calls (3rd Friday of every month), facilitating the calls, taking and distributing meeting minutes, and following up on action items. This quarter, we continued standing agenda items to discuss endangered species issues and lead a quarterly check-up on RCN projects. We have also overseen progress on the USFWS MDL petitioned species listing, assisted the committee in tracking the Regional Conservation Opportunities Areas project, and continued to maintain the Synthesis and Lexicon reports with final updates. RCN fact sheets, Synthesis summary were also developed. A TWS article was drafted and provided for a special SWAP issue, and several posters and oral presentations were provided for the 2016 NEAFWA conference.